What are the best practices to configure access during the installation of Management Service, Host Management Service and Management Console components for 5nine Cloud Security? I want to configure access during the installation of Management Service, Host Management Service and Management Console components using the recommended best practices to avoid any access related issues in the future with 5nine Cloud Security. How do I do that? Note: Recommended best practice is to select the User option and enter either the local or domain user credentials depending upon the environment in which the Management Service is being installed. This credential will be the default credential that will be used by the Management Console and the Host Management Service components. If you select Local system, all the Hosts must be added to the Management Console with custom credentials. Note: If Local system had been selected at the previous step as an account to run Management Service, only SQL authentication is allowed. Custom user. This option lets you create custom users independently from the Active Directory (AD). This type of access is used only within 5nine Cloud Security to identify the 5nine Cloud Security application permissions. We recommend selecting this option if you are working in a mixed environment. You can select any username and password for this user type. Windows user. This option applies to a single domain environment and the user must be registered in the AD. The global admin is a user who has full access to the 5nine Cloud Security product. Once you create a global admin user, you can only connect to the Cloud Security Management Service under this user. If you choose the option Do not create admin, the installation will proceed without prompting for a user’s credentials. Note: In the event that you have kept the old vFirewal database from a previous installation in your selected data source, and there was at least one admin registered to it, the installer will detect the prior configuration and skip this step entirely. Note: These credentials are entered for the local host on which the Host Management Service is being installed and may differ from those entered for the remote Host Management server if the program is used in a mixed environment. Use custom credentials: Specify the credentials for the remote host. Use this option if different credentials should be used on the remote host. In the event multiple hosts are added, please change the credentials for each host as applicable. Note: Please ensure that the Service logon account is properly set. Note: Remote install option allows you to install the Host Management Service onto multiple hosts remotely over a network. Use default credentials: current user credentials will be used to connect to the Management Service each time the Management Console is started. Use custom credentials: users will be prompted to enter their credentials to connect to the Management Service each time the Management Console is started. Note: To install the Management Console on a server where multiple users with different privileges work, best practice is to select the Use default credentials option so that each time the Management Console is started, the necessary privileges are already in place to connect to the Management Service. WMI access. Full access to the namespace Hyper-V WMI provider (V2) (ROOT\virtualization\v2) is required. SQL database or file access (read/write) – for Management Service user account only if Windows authentication is used. Allow to control Hyper-V. In most cases, this requirement is covered since the local administrator’s permissions requirement is already met. Logon as a service privilege. Best practice – Use the same account for service on the Host Service account and in the Server Settings in the Management Console. Host Service user should have local administrator’s privileges. This requirement is usually met when the user is a member of local administrators group on the Hyper-V host or Administrators group in the Active Directory in a domain environment. If the host is managed remotely from a centralized management console, there should also be an account with similar permissions used in the Server Settings. The Account for workgroup environment should also have similar permissions for the currently managed host. Managed and Management servers should be marked as trusted hosts if the workgroup environment is to be used on several domain environments. 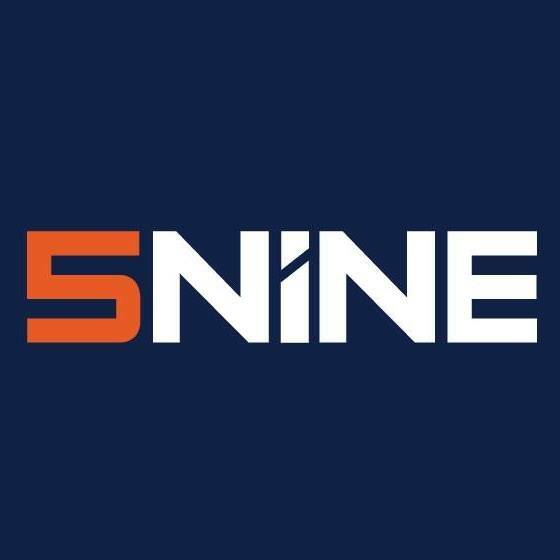 5nine Cloud Security, How do I upgrade to the latest version of 5nine Cloud Security?, What are the prerequisites for 5nine Cloud Security installation?, How can I ensure that 5nine Cloud Security is operating correctly?